Gauge Industrial and Environmental provide a complete service package for potable water treatment plants. We operate plants, and scientifically evaluate performance and provide assistance to optimise plant function to meet Australia drinking water standards. Our technicians and project managers provide a complete service package for sewage water treatment plants. We operate plants, and scientifically evaluate performance and provide assistance to optimise plant function to meet Australian discharge and health standards. We provide a complete service to seek efficiencies that match water quality to water use or reuse. 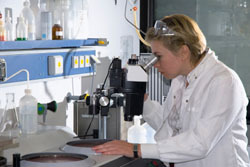 We assist clients by selecting optimal treatment methods and chemistry combinations, and optimise existing equipment. Where suitable chemical treatments are not available, we formulate new chemicals to best suit to the process. Weadviseprovide practical advice and training to process and waste water managers in terms of maintenance, design and treatment options. Gauge Industrial and Environmental professionals design and deliver water sampling and testing of potable and waste water treatment plants and industrial processes. We analyse results and provide solutions to complex water quality problems or plant operation and optimisation issues. We assist clients to comply with water quality health and safety system requirements. We assist and develop HSE Management systems that comply with site protocols and current legislation. Our professionals provide onsite training to plant operators as well as technical assistance on line or by phone. Our team of professionals provide technical advice and support for industry and can act as advocates for our clients by liaising with regulators, technical experts and community groups.